RUAG achieved the installation the GoGo Avance L5 system on the basis of a Supplemental Type Certificate (STC), designed by Dassault Falcon Jet Corp, and specifically validated for this project by EASA. “Our Falcon customer required full and seamless connectivity, for the broad selection of business and entertainment applications across various devices, at any given time. The GoGo Avance L5 system quickly became the solution to these exacting expectations,” states Stephan Woodtli, General Manager Site Agno, RUAG MRO International. The one-stop shop project was a joint effort of the avionics specialists in Lugano-Agno and the Authorized Dassault Service Center in Geneva. The connectivity and communications platform is lightweight and features the advanced 802.11ac dual-band router (5GHz & 2.4GHz) that maximizes bandwidth, dynamic, multi-bearer data and voice management, and the ability to connect with Gogo Biz/Gogo Biz 4G, Iridium Inmarsat SwiftBroadband, and Inmarsat Jet ConneX bearers. The GoGo Avance L5 system installation was part of a more extended and complex cabin upgrade project focusing on modernization and enhanced comfort. The customer opted for a complete cabin interior refurbishment of wood, leather, and carpeting, that also included the integration of a state-of-the-art InFlight Entertainment (IFE) system. The accompanying cabin acoustic and thermal insulation improvement was also the first installation of its STC in Europe. “This latest achievement underscores our dedication to our business aircraft customers as we continuously strive to offer the latest in technology to enhance comfort and relaxation on board their aircraft,” states Pio Ming, General Manager at the Authorized Falcon Service Center in Geneva at MRO International. “The best solutions stem from longstanding relationships with OEMs, like Dassault Falcon, where we all benefit from their established experience in the industry. In fact, RUAG continues to be Dassault Falcon Authorized Service Center for over 31 years,” adds Volker Wallrodt, Senior Vice President Business Jets, Dornier 228 & Military. RUAG MRO International specializes in offering optimized business aircraft solutions. All required services are performed within the same downtime and according to individual customer schedules. Aircraft support solutions include the full complement of maintenance checks, cabin modifications, avionics and system upgrades, subsystem and component MRO services, aircraft painting, pre-purchase inspections, AOG events, FBO, and support and consulting. The Geneva-Meyrin facility is an Authorized Service Center for Dassault Falcon, an Authorized Service Center for Pilatus PC-12, and a service center for Embraer Legacy, and Bombardier Challenger CL604 and CL605. 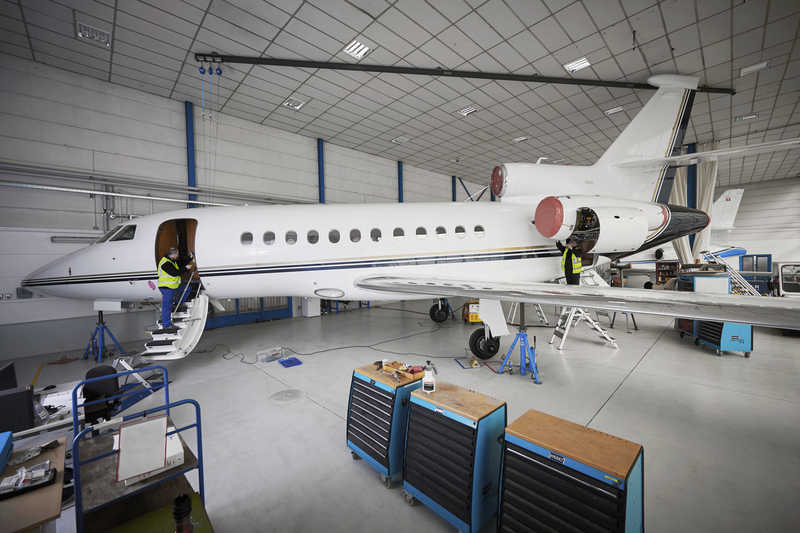 The Lugano-Agno location is an Authorized Service Center for Piaggio P180 Avanti and a service center for Dassault Falcon 900 and 2000 series, Bombardier Global 5000 and Global Express, Pilatus PC-12, and King Air series.